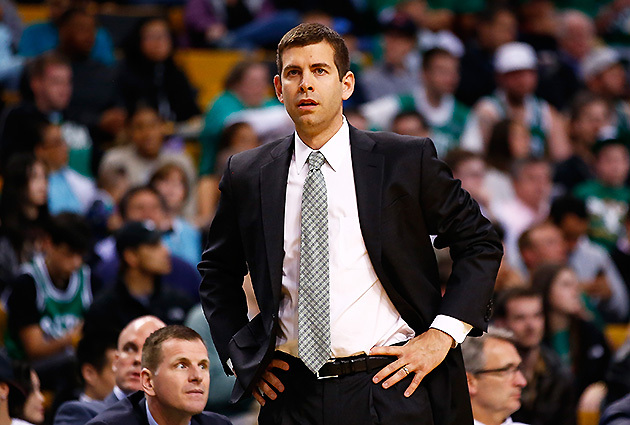 The success of Brad Stevens with the Celtics and the rise of Billy Donovan to head coach of the Thunder means that other college coaches will soon get a chance in the NBA. This story appears in the May 11, 2015 issue of Sports Illustrated. To subscribe to the magazine, click here. In the two years since Brad Stevens left Butler to coach the Celtics, Boston has gone 65–103, including a first-round sweep by the Cavs in the current postseason. That hardly seems like the kind of record to persuade the rest of the league to buck the conventional wisdom that college coaches almost always fail in the NBA, but coupled with the Thunder’s hiring of Billy Donovan from Florida last week, it’s clear that in the search for coaching talent, NBA teams are increasingly willing to go back to school. This time they seem to have a better idea of what to look for. The lengthy list of college coaches who have flamed out in the pros over the last 20 years—including John Calipari, Mike Dunlap, Tim Floyd, Leonard Hamilton, Lon Kruger, Mike Montgomery, Rick Pitino and Reggie Theus—scared most franchises away from dipping into the college ranks, but those coaches all fell into at least one of two categories. They were either celebrity hires, big-name bosses so used to ruling over their college fiefdoms that they tripped over their own outsized egos (Calipari and Pitino), or they were chosen by franchises in such desperately bad shape that a combination of John Wooden and Red Auerbach would have been hard-pressed to turn their teams into winners (Floyd with the post Michael Jordan–Scottie Pippen Bulls). Donovan and Stevens may be the beginning of a college pipeline to the pros because they don’t fit either description. Stevens came from a mid-major school that wasn’t even the highest-profile program in the state of Indiana, and Donovan, despite his two national championships with the Gators, was a basketball coach at a football school. So they’re not likely to make power grabs, as Pitino did when he stripped Auerbach of the largely ceremonial title of team president when he took over in Boston in 1997. Nor do they seem thin-skinned enough to give in to paranoia, as Calipari did when he instructed a Nets intern to call in to talk radio shows pretending to be a supportive fan during his tenure in New Jersey from 1996 through ’99. Neither Donovan nor Stevens took a dead-end job, either. Despite their relative lack of talent, the Celtics have salary-cap space and a multitude of extra draft picks with which to rebuild, and in Oklahoma City, Donovan has the rare luxury of taking over a championship contender with two of the top 10 players in the league, Kevin Durant and Russell Westbrook. It’s not an accident that the increased attractiveness of college coaches has accompanied the growing use of advanced analytics in the NBA. Coaches who embrace the use of data-driven ways of assessing the game, as Donovan and Stevens have, are more appealing than ever, and those coaches are as likely to be found on college benches as in the NBA. ​UConn’s Kevin Ollie, Fred Hoiberg of Iowa State and Larry Krystkowiak of Utah are among the names turning up on the NBA coaching rumor mill more frequently, partly because of Stevens’s success. Boston made a 15-game improvement from Stevens’s first year, and he somehow guided them into the postseason despite a constantly changing roster that never included a single star. (No, Rajon Rondo doesn’t qualify.) By all rights, the Celtics should have been sending their leprechaun to the lottery later this month. That they finished 40–42 with the seventh seed, even in the admittedly weak Eastern Conference, is a sign that GM Danny Ainge picked the right man for the job. Because of his longtime friendship with Thunder executive vice president and GM Sam Presti, Donovan seems like the perfect organizational fit. If he can nudge the Thunder over the hump to a championship, college coaches will undoubtedly become even more desirable to NBA franchises. If recent history is any guide, teams might be wise to bypass high-profile names like Tom Izzo of Michigan State and Duke’s Mike Krzyzewski in favor of coaches more likely to be interested in a collaborative effort with a GM. The myth that college coaches can’t succeed in the NBA is being exposed as just that, which is why there are several coaches who will probably be leaving campus life behind for the pros in the next few years. Graduation day is coming.